Hailed “the world’s greatest female tap dancer” by Time magazine, Eleanor Powell was born on November 21, 1912, in Springfield, Massachusetts. After her parents’ divorce, Eleanor developed a painful shyness, which she tried to overcome by taking lessons in ballet and acrobatics. In 1925, she and her mother moved to Atlantic City, where she was hired to dance at local nightspots. While still a teenager, Powell set out to conquer Broadway. In New York, however, she discovered that she needed to become a tap dancer to find work. As formal training, she took 10 lessons at the dance studio of Jack Donahue, who tied two sandbags around her waist to force her to resist her natural impulse toward high-stepping. On her own, Powell learned to tap off the beat by dancing to boogie-woogie records. Powell’s efforts paid off when she was hired for Fine and Dandy (1930), a musical comedy that made her a star. While working on this and other Broadway shows, she became known for her marathon rehearsals, which often lasted for more than six hours. Her show-stealing routines soon caught the attention of Louis B. Mayer at the Metro-Goldwyn-Mayer (MGM) movie studio. Signed for a small role in Broadway Melody of 1936, Powell immediately became one of the MGM’s most popular stars. With a seven-year contract with MGM, Powell began starring in a series of light musicals, including Born to Dance (1936), Rosalie (1937), and Honolulu (1939). Her acting was stilted and her singing was often dubbed, but Powell’s dancing provided these pictures’ highlights. Particularly popular were the spectacularly staged finales, during which Powell danced solo against extravagant sets populated by hundreds of extras. Powell did much of her own choreography and had each dance filmed four times. In post-production, she worked with the film editors to ensure that her film performances were as close as possible of perfection. Although Powell continued to be popular through the war years, after filming Thousands Cheer (1943), her last MGM musical, her contract was not renewed. She had her last starring role in Sensations of 1945 (1944), in which she performed incredible routines with a horse and a pinball machine as her partners. Powell then largely retired from film to spend time with her husband, actor Glenn Ford (whom she married in 1943), and their son. After she and Ford divorced in 1959, Powell spent several years touring with a nightclub act and became a regular guest on television specials and programs. She made her final appearance on the American Film Institute’s televised tribute to Fred Astaire in 1981. Remembered for her relentless energy and consummate professionalism, Powell died the next year in Beverly Hills on February 11. 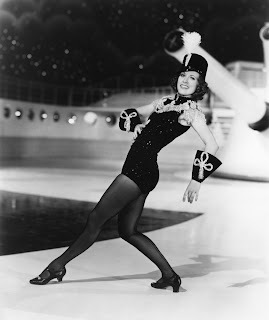 Levin, Alice B. Eleanor Powell: First Lady of Dance. Potomac, Md. : A. B. Levin, 1997. Schultz, Margie. 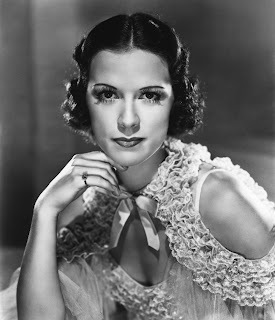 Eleanor Powell: A Bio-Bibliography. Westport, Conn.: Greenwood Press, 1994. Born to Dance (1936). Warner Home Video, VHS, 1990. 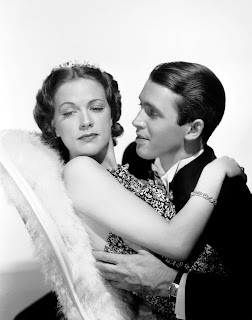 Broadway Melody of 1938 (1937). MGM/UA, VHS, 1992. Thousands Cheer (1944). Warner Home Video, VHS, 1992.